Tamie: The final round of the 2014 Goodreads Choice awards end today, so if you haven’t voted for your favorites yet…get it done here! Morgan and Jennifer Locklear returned to Northwest Prime for a second radio interview this past week. I encourage you to listen to it and get to know both of them better. It was both interesting and very funny! Click here to listen. Also, you can purchase their book, Exposure through Simon & Schuster now. If you haven’t read it yet, it’s a story I recommend. Elena: Huge Congratulations to Morgan and Jennifer! 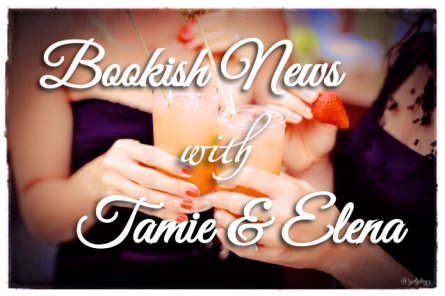 Tamie: S.C. Stephens released a deleted scene from Thoughtful which is on my most anticipated reads list for 2015. You can read the scene by visiting her facebook page here. She also has a contest going on, and you could win an ARC as the grand prize, so check it out here. Sylvain Reynard is having a cool contest on his facebook page. You can see the prizes and enter here. Have a great Saturday, all! This entry was posted in Adult Romance, Author News, Book News, Book Recommendation, Books, Favorite Authors, Gideon Cross, Kellan Kyle, S.C. Stephens, Sylvia Day and tagged Adult Romance, Amy Harmon. Colleen Hoover, Author news, Book news, Book Recommendation, Books, favorite authors, Gideon Cross, Great Bookish News, Kellan Kyle, Morgan and Jennifer Locklear, S.C. Stephens, Sylvia Day. Literature is my passion. I love reading so much that I spend countless hours in bookstores and libraries. I have a soft spot for poetry and art. I like traveling and discovering new places. I can't do without a book.